7th Annual Jerry Day ATL Tickets On Sale Now! 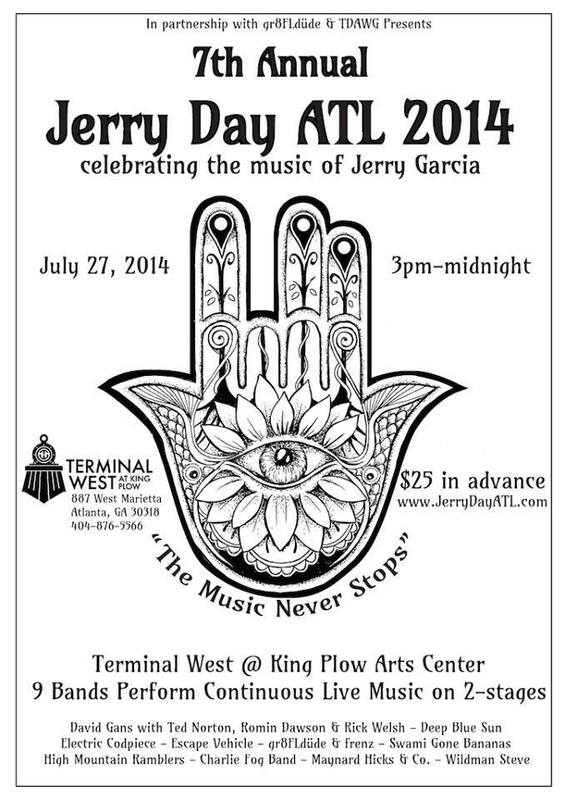 Advance tickets are available for the 7th Annual Jerry Day ATL party at Terminal West at King Plow Arts Center! Y’all this event is quickly shaping up to be one helluva might fine time while celebrating the music of Jerry Garcia. Visit the Event Page for a listing of the bands and links! Stay tuned for information regarding special VIP passes that can be purchased in addition and will include a catered dinner and beverages from 6-9pm as well as a private viewing area! Spread the good word on this happening, as it is one you don’t want to miss! No song will be repeated the entire day! ← Fall Hootenanny (Sept 19-20) Initial Lineup Announced!